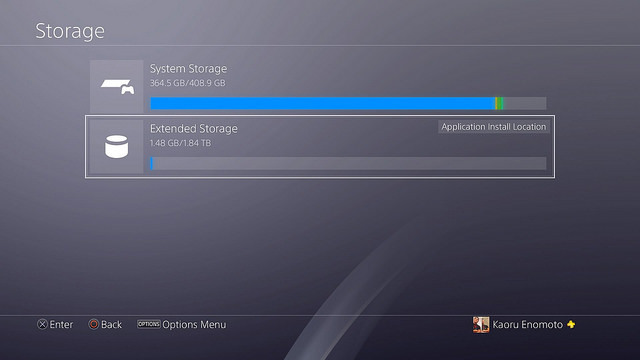 You will be able to use the USB storage device to install the application or move the application from the PS4 host memory. The following conditions must be met for USB storage devices that can be used. The shortcut menu is now easier to use. The party function, from the party to attend the party, have become more convenient. When using the remote control function on a Windows PC, Mac, Xperia Smartphone or Xperia Tablet, you can chat with a microphone in the game or party using the device’s microphone. You can now use the screenshots to customize the background image of your main picture and function screen. You can now display screenshots, such as [What’s New] screenshots, to the event. Press the SHARE key, select [Screen Capture], and select [Active] as the upload location. In addition, you can now mark the game and have played with the players. When you log on (PlayStationApp) and other applications, your status will be displayed as (mobile) even if it is not next to the PS4 host . This means you can communicate with friends. After the party is held, it can be changed to public or private. Select (Party)> [Party Settings]> [Party’s Privacy]. The PS4 that you first used to access the PlayStation Network will now be automatically certified as your favorite PS4. When creating a master account, the parent or guardian can now simply create a child account for the child. You can now upload or download saved data directly from the main screen. Move the alignment mark to the game, press the OPTIONS key, and then select [Upload / Download Save Data]. You can now share screenshots with people on the PlayStation Network with related options. When you share with people, you can adjust your privacy settings at any time. You can now start (SHAREfactory) from the (interception picture album ). While viewing (interception of the photo album), press the OPTIONS key and select [Edit with SHAREfactory]. You can change the color of your profile screen to match the cover image. Xperia (PS4 remote operation) design has been updated. When you receive a party invitation, you can quickly reply from (message) or (PS Messages) with the quick reply function. Your PS4 host profile The cover image on the screen can now be displayed in (PS Messages). The theater mode image quality on PlayStation VR has improved.